Identify and refine locations for citation-sized bluegills! Commonly held misperceptions aside, bluegills are very similar to other prized fish species, in that honest effort is required to catch the biggest of the bunch with any degree of regularity. Through this book (the first of a two-volume series), author Brad Hierstetter will provide you with a straight-forward yet highly reliable framework through which you can greatly tilt the odds of identifying optimal citation gill locations in your favor. Know upfront that the author will challenge you to do a bit of work. Do not let this deter you, though; any efforts you expend are certain to be rewarded over time. Anglers who understand their quarry -- those who have made the necessary investments, in other words -- achieve their objectives with increased regularity. Without a doubt, angling consistency is rooted in an understanding of the quarry, not in chance. 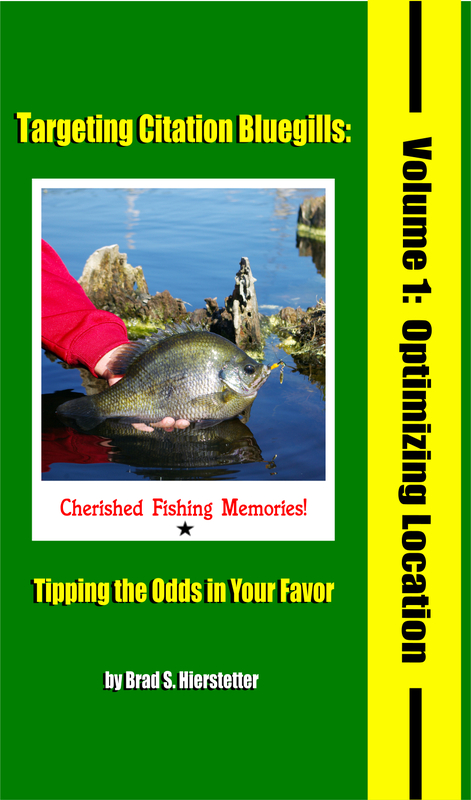 This book will arm you with the information (most of which was drawn from accounts of the behavioral tendencies of bluegills as observed by both biologists and experienced, successful anglers) necessary to better understand citation gill locations.